Do you have trouble staying asleep at night, often wake up feeling more tired than when you went to sleep, and suffer from daily morning headaches? You may be suffering from sleep apnea. Sleep apnea can be obstructive or central. Obstructive is caused by a physical blockage of air to the longs, and central occurs when the body is not breathing due to a malfunction of the central nervous system. Whatever type of apnea you suffer from, not treating it is not an option. Untreated sleep apnea can cost you countless good nights of sleep, but more importantly, it could cost you your life. Don’t suffer with sleep apnea, call Sleep Rehab in Plano, TX to find out more about how you can get a good night’s sleep.. Patients who suffer from sleep apnea repeatedly stop breathing throughout the night stopping the flow of oxygen to the brain and other biological systems. The brain signals the body to awaken so breathing will restart. The constant reawakening causes the body to miss out on the regenerative sleep cycles this coupled with the oxygen deprivation can be extremely dangerous. Different people suffer from apnea in their own way. Some patients have 100 or more incidences that last just a few seconds, while others have a dozen incidences that can last a minute or more. It’s essential to proper treatment that you be diagnosed using our convenient at home testing, so we know with certainty that you suffer from apnea and how it effects your sleep cycle. Fatigue – This includes the apnea sufferers fatigue caused by the frequent sleep interruptions, and the fatigue suffered by people who share living space with the apnea sufferer. Apnea frequently causes loud snoring for extended periods of time which can cause loved ones to awaken throughout the night. Those who share a bed with sufferers are the most drastically affected. Health risks associated with fatigue are incidences of “excessive daytime sleepiness.” These incidents may cause patients to fall asleep at inappropriate time and in inappropriate places including at work, school, or while driving. Memory loss, depression, mood swings, and attention deficit/hyperactivity disorder can also result from fatigue associated with apnea. High Blood Pressure/Heart Problems – The repeated stopping of breath causes your heart to pump more quickly once breathing occurs and oxygen is restored to the blood stream. Repeated strain on the heart can raise blood pressure and lead to arrhythmia, stroke, atrial fibrillation, high blood pressure and other cardiovascular disease. Non-Alcoholic Fatty Liver Disease (NAFLD) – according to numerous studies, NAFLD is more prevalent in people with sleep apnea than those without. Control groups accounted for the contribution of obesity to NAFLD and sleep apnea. In a group of obese adults with and without sleep apnea, those with apnea were at a much higher risk. Fatty liver is caused by insulin resistance, and further research is being conducted to determine any direct correlation between apnea and insulin resistance. Regardless of causal relationship, patients who suffer from NAFLD or sleep apnea should be examined for both conditions. You should be aware of your own sleep cycle. 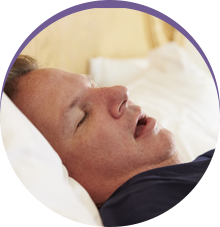 If you experience extreme tiredness, frequent wakening throughout the night, morning headaches, awakening with dry mouth or a sore throat, or loud snoring, you may wish to be tested for sleep apnea. Patients who suffer from apnea don’t have to. 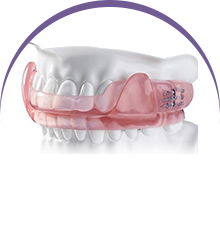 In many cases, a simple oral appliance can open your airway allowing you to rest easy. 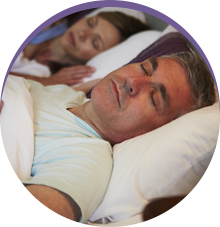 If you have any symptoms of sleep apnea, Dr. Fedosky and his dedicated Sleep Apnea team are here to help you get a great night’s sleep and improve your health. Call to schedule an appointment today. Our Plano, TX office welcomes patients from nearby areas including Sunnyvale, Mesquite, Rowlett, Wylie and Sachse.